Open the images by clicking on it and leave your votes for the best submission. Welcome to the haunted house – Solve BLACK STORIES and win! Are you in the mood for a spook? This year we have prepared three mysteries that will fill you with horror. We will post the beginnings of three short ghost stories in this blog article. Ask your YES/NO questions as a comment in this blog and unravel the mystery. Hurry up! Every new clue thins out the fog surrounding the mystic stories. Spider webs, skeletons and co. – Put us in the mood for Halloween! 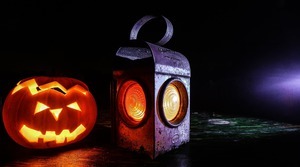 Have you already decorated your home for Halloween? Then share your Halloween mood and send us some pictures of your spooky decor! This is how to enter ghastly great pictures: Taka a picture of your current Halloween decoration and send us a proof picture to contest@clickworker.com, by October 29, 2015; don’t forget: subject “Halloween”. Every Clickworker can enter a maximum of 2 pictures. Today we will take a look at items that should not be categorized. As a rule you can only sort items in the tree category if there is a suitable category available. There is for example no space for books, DVDs, etc. Does that mean that items cannot be categorized if they are not obviously fashion items? NO, because there are categories for different kinds of suitcases or beach towels.